Here, at Kenilworth Union Church, members and visitors gather in the sanctuary each Sunday for worship followed by fellowship. Throughout the week, we connect through social events, volunteer work, educational programming, and life events such as baptisms. Please take a moment to join more than 1,000 subscribers to our eNews. 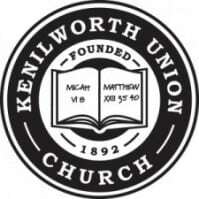 Kenilworth Union Church is a nondenominational Christian church inviting all to join on a faith journey to worship God through Jesus Christ and with the Holy Spirit. We aspire to serve the world, to do justice, to love kindness and to walk humbly with our God and with each other. Learn more on our About Us page. Whether you are joining us for a wedding, memorial, baptism, or weekly Sunday worship, you will find a warm welcome at Kenilworth Union. Access contact details and directions here. We invite those interested in becoming members of Church to attend our Church Information classes. You are also encouraged to speak with a minister. You will find key information on the Membership page. 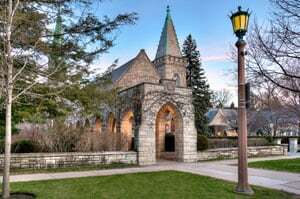 In the Kenilworth Union Church blog, you can hear directly from members, friends, and staff about current events, upcoming programs, and reflections that may play a role in our week. Click here to explore.